DDGM Official Visit To Temple Lodge & Fellow Craft Degree – 24 November 2018 – Temple Lodge, No.33, Duncan, B.C. The District Deputy Grand Master’s Official Visit to Temple Lodge No. 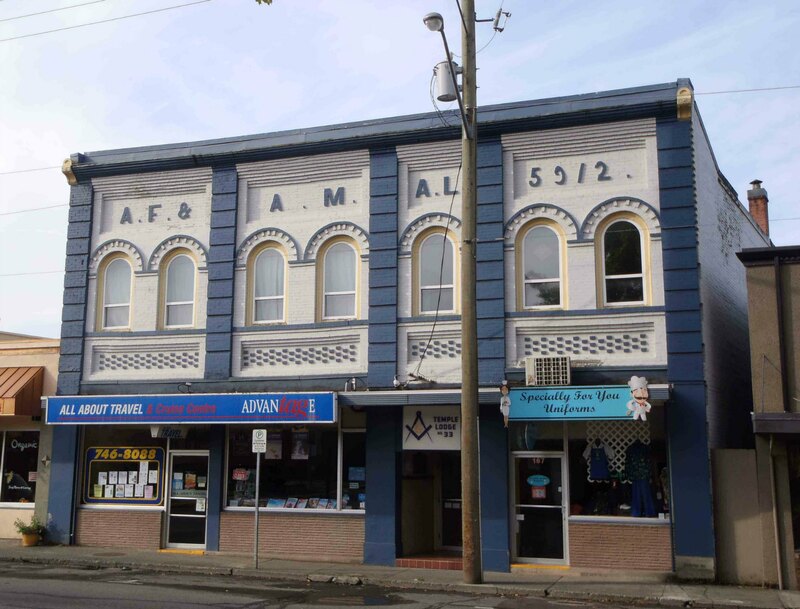 33 be held at the Duncan Masonic Temple, 163 Canada Avenue, Duncan, B.C. on Saturday, 24 November 2018 at 1:00 p.m.
Temple Lodge No. 33 will also be conducted a Fellow Craft Degree as part of the Official Visit ceremonies. Please bear in mind that Temple Lodge No. 33 will be opened at 11:00 a.m., Lunch will be at 12:00 noon and the District Deputy Grand Master’s Official Visit will begin at 1:00 p.m.